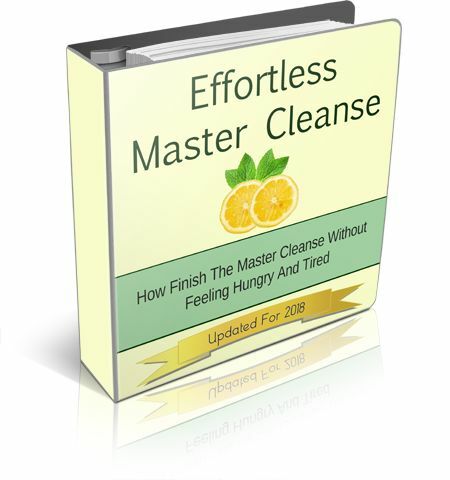 Effortless Master Cleanse is an effective guide to help you with a complete detoxification program. The human body is exposed to innumerable toxins. There are toxins in foods and beverages. The body is exposed to toxins in the environment. Exposure to various kinds of chemicals is also one of the key contributors to toxins in the system. The human body is fully capable of eliminating the toxins from the system but that is only till an extent when the exposure is ordinary. Today, people are exposed to much more toxins than the body can handle. Not everyone is in the prime of their health. The liver and kidneys are the primary organs responsible for natural detoxification. Diet, lifestyle and lack of exercise often impair the normal functions of the liver and kidneys. As a result, the body is unable to detoxify itself as it is naturally meant to be capable of. This is why you need a cleansing program to completely and effectively detoxify. The trouble with many detoxification programs is either inefficacy or the challenges that they entail. Many people embark on a detoxification routine and then quit midway. This does not offer any respite and partial detoxification would only have nominal benefits. Master Cleanse simplifies the whole process of detoxifying your system. The program will help you to start a detoxification routine, you would be motivated to follow the best practices and you would effectively get rid of all the toxins from your body. This is not limited to the free radicals inside the body but also heavy metals and other chemicals that pile up in various parts. Master Cleanse is not just a detoxification program. It is effectively a restoration process. Your health will be restored to its best ever by the end of the program. Get Master Cleanse today and start to revive yourself.